Towing Wire sleeves have a cylindrical cross-section and are made in one piece. As a result, they are not divisible. 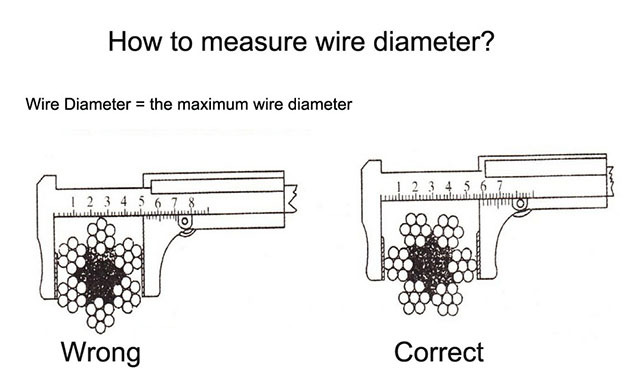 This form of protection is only suitable for mounting on to the wire rope before the cable is connected. Both sides of the towing sleeve are straight, but one can be bevelled upon request, so that the sleeve can move more easily. 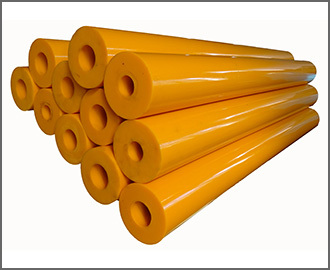 The towing sleeve is made off a high grade polyurethande with offshore wear resistance properties. Towing Wire Sleeves can also be customized. 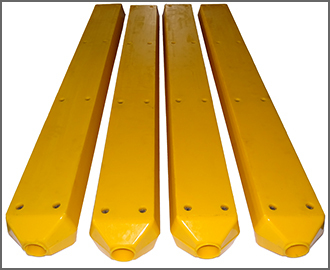 Towing Wire shoes have a rectangular cross-section and consist of a two-piece construction. 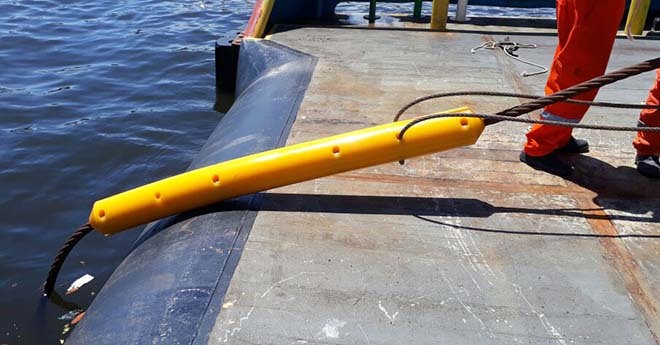 An advantage is that these rope shoes can be mounted on to the wire rope after they are also fine, after the cable is connected. This in contrast to the towing sleeve, which consists of one piece. The two halves of the towing shoe are clamped on the wire rope with strong bolts without protruding parts. 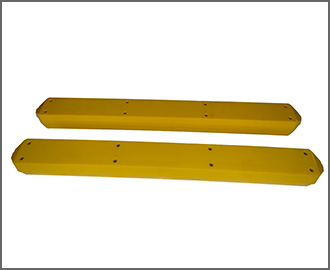 Both ends of the towing shoes are slightly beveled so that the tow protector can easily move about certain obstacles, such as a railing. Towing Wire shoes can also be customized. 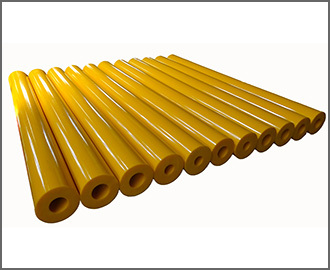 Kosin’s towing wire protector is made from durable polyurethane elastomer material, with abrasion resistance, durability, impact absorption, oil/chemical/ozone/salt water resistance even in freezing conditions. 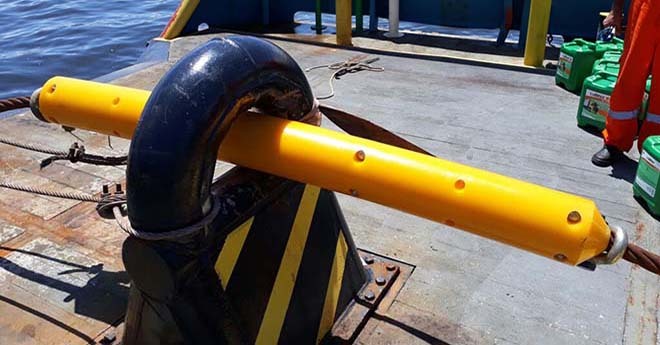 Polyurethane towing rope protector is the perfect solution to protect your wire or rope. Wires can move easier over rails by using towing protector.